The planning application for Melbourne Quarter’s second commercial tower, Melbourne Quarter Tower, was approved at Tuesday night’s City of Melbourne’s Future Melbourne Committee meeting where it received a positive recommendation and endorsement from members. Located at 693 Collins Street, the tower is 28 levels with circa 54,000 sqm of flexible office space. It is believed that Lendlease plans to lodge Melbourne Quarter’s third and final commercial tower at 697 Collins Street, the circa 24 level Two Melbourne Quarter, early next year. Maintaining the precinct’s strong momentum, the lodgement follows last month’s announcement that Lendlease will relocate its Victorian workforce to the precinct’s first commercial tower, One Melbourne Quarter, by 2018 alongside engineering and design firm Arup. Melbourne Quarter Tower will target a 6 Star Green Star rating and a 5 star NABERS rating. Melbourne Quarter precinct's new laneway, Market Place Lane, located between One MQ and MQ TowerTo cater to the demand for more conveniently located office space in the CBD, the precinct’s three commercial towers have received strong interest due to their pivotal location on Collins Street and close connectivity to Southern Cross Station. 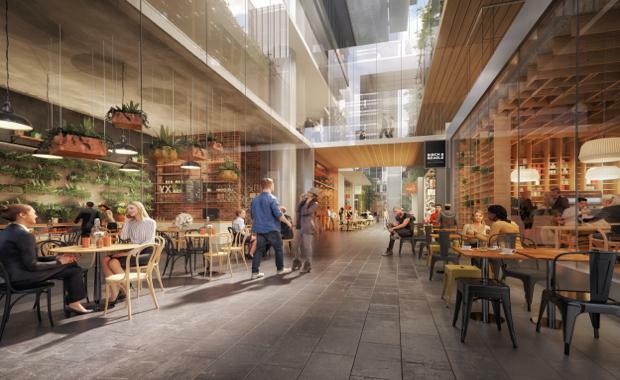 The precinct has also attracted interest from businesses looking to shift Westwards to Melbourne’s new commercial centre. 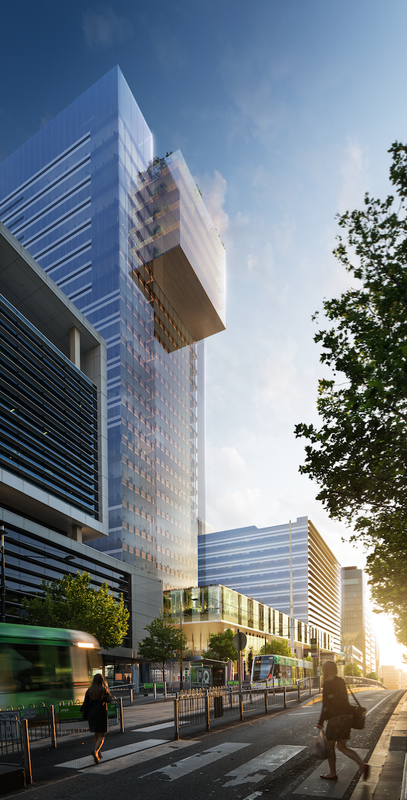 Melbourne Quarter tower view 27Bringing together the latest thinking in sustainability, technology and health and wellbeing, the building will offer approximately 120,000sqm of next-generation office space for more than 10,000 employees. It will connect the CBD to Docklands to create an exciting new destination for workers, residents and visitors.